If ever there were a body of numbskulls taking in the “cool aid” of corporate largess, lobbyists and consensus science, the U.S. Congress, apparently, fits that bill when it comes to the hard-core facts regarding toxic ingredients in vaccines along with the so-called ‘science of vaccines’ and the vested-interest roles they have played in modern life. 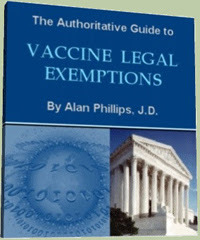 Nothing expresses that more than the National Childhood Vaccine Injury Act of 1986 (42 U.S.C. §§ 300aa-1 to 300aa-34), which has become more of a nightmare, especially for anyone who’s been damaged by vaccines. Congress apparently went ‘off the rails’ on that one; never has bothered to investigate all the damage vaccines are causing—see the VAERS reporting system—and now, the current members of the U.S. House of Representatives issued a House Resolution—H.Res.117—that readers need to know about. H.Res.117 is nothing short of a true travesty that has hallmarks of Big Pharma spin all over it. Facts and figures are so outlandish, everyone should be challenging their congressperson, if he/she signed it, to provide written proof of where they got those ‘facts and figures’. It’s nothing short of a conspiracy of ignorance regarding the true scientific facts about toxic vaccines. Nothing, or no one, explains more about vaccines than the ‘father of U.S. vaccinology’, Maurice Hilleman, MD, who candidly talks about what’s in vaccines in this video. The current Resolution the House of Representatives passed ought to be interpreted as a prelude to mandatory vaccination for ALL U.S. citizens. It probably can be interpreted as the ‘foreplay’ to federal law that will do away with any exemptions to vaccinations regardless of age, religious or philosophical beliefs—and probably even medical status—since over 300 new vaccines are in production and Big Pharma, et al, including the U.S. Treasury, want to cash in on those profitable taxes. Why the U.S. Treasury? Because it collects a tax on every vaccine active sold, which it places into a trust fund that earns really BIG interest bucks for the U.S. Treasury. The only book devoted to discussing many of the toxic ingredients in vaccines from peer review science papers/journals, government websites, etc. that Big Pharma, CDC, FDA, etc., refuse to accept, but rely upon only Big Pharma’s junk science submitted for vaccine licensing. A book that tells the historical facts that Big Pharma, et al want to deny and skew. This book tells more than Big Pharma may want you to know. Dr. Eisenstein knew about vaccines from various aspects: medicine, research, and the politics of law. Below is House Resolution 117 with the members of Congress who signed on. What do you think? H.Res.117 – Recognizing the importance of vaccinations and immunizations in the United States. Recognizing the importance of vaccinations and immunizations in the United States. (5) urges parents, in consultation with their health care provider, to follow the scientific evidence and consensus of medical experts in favor of timely vaccinations to protect their children and their community. Here’s a “hat tip” to Sallie O. Elkordy, who made me aware of this Resolution. Be the first to comment on "The U.S. Congress Is “Out to Lunch” About Vaccine Science—Here’s Proof"